For the past week or so, Ariana Grande has been using music to comment on her split from Pete Davidson. 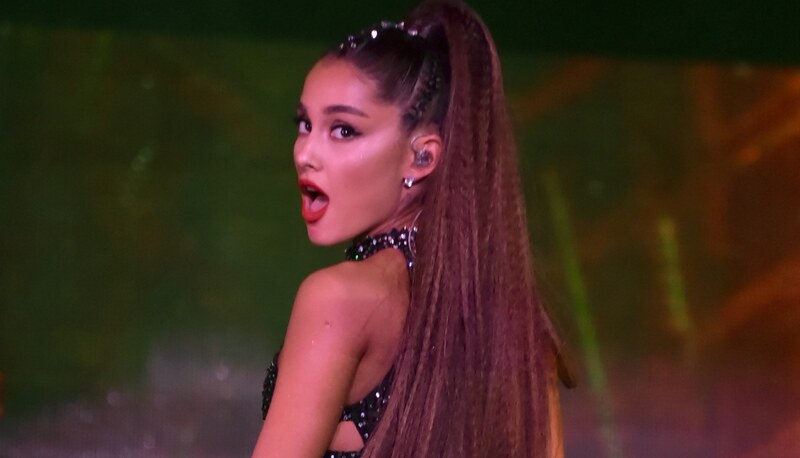 She first started with “Thank U, Next”, the song she surprised-dropped last Saturday night that name-checks several of her exes, including the SNL comedian. “Even almost got married/and for Pete, I’m so thankful ,” she sings at the top of the track. She followed this up with a performance of “Thank U, Next” on The Ellen Show that featured lots of wedding imagery, from a multi-tiered cake to reception tables and all white outfits. Because Davidson is the only ex we know of who almost married Grande, it’s safe to assume this was a nod to him. “Don’t,” Grande wrote with no capitalization or punctuations. Oof. Welp, that makes her opinion on her short-lived engagement to Davidson very clear. Davidson and Grande confirmed their engagement over the summer but in mid-October news broke they had called things off. He’s since made several jokes about the situation in standup routines and on SNL. After he fake-proposed to singer Maggie Rogers as a joke for one of the show’s promos, Grande hit back on Twitter, posting (and later deleting), “For somebody who claims to hate relevancy u sure love clinging to it huh. Thank u, next.” Little did we know those last three words would be the title of the song heard (literally) around the world.